The main key to the system’s effectiveness is the Camel 1200’s industry-unique ejector plate which serves as a full-body primarily filter that thoroughly separates solids from liquids collected in the debris body. The collected water then travels through a series of filters, strainers and a separator that removes particles from the liquid utilizing centrifugal action. 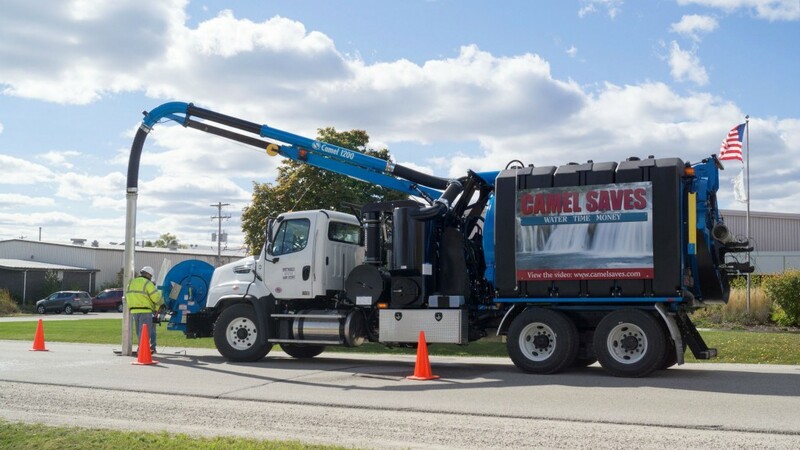 The 12-yard debris capacity Camel 1200 also features a technologically advanced water pump that was specifically designed for wastewater recycling operation and high pressure efficient performance. By using Super Products’ wastewater recycling, sewer cleaning workers not only can save thousands of gallons of water during an average work week, they’ll also experience longer, onsite performance as there won’t be a need to halt production to replenish the fresh water supply.